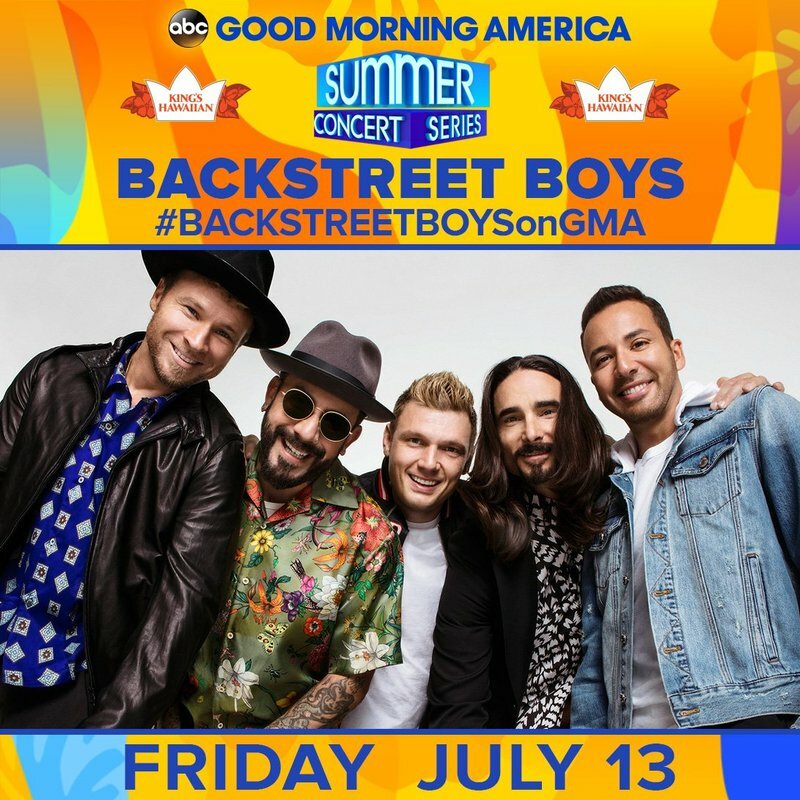 ICYMI: BSB will be performing live on Good Morning America on July 13th as a part of GMA's iconic summer concert series. How would you like to be there in person to experience the magic? If you're a fan club member, here's your chance! We're giving a few lucky fan club members the chance to be there live with their BSB besties. Not a fan club member? Join here now for this and lots of other fun BSB opportunities! If you can't make it down to NYC, don't forget to tune in to Good Morning America on Friday July 13th! *No transportation or lodging provided. Each winner receives one (1) ticket to Backstreet Boys performance at Good Morning America Friday, July 13th. Non-transferable.